Groton, CT – The Chelsea Groton Foundation will be accepting applications for the fall grant cycle through the Foundation’s online application portal until Friday, September 21, 2018. Local and regional charitable organizations in the areas of Animal Welfare, Arts and Culture, Economic Development, Education, Environment, Health and Human Services, Housing, and Youth Recreation and Activities, should visit www.chelseagroton.com/CGFoundation to access the new online application portal and more details on specific requirements. The Foundation accepts grant applications two times per year. Formed in June 1998 as a Section 501(c)(3) organization, the Foundation has, to date, awarded over $2.6 million in grants to hundreds of organizations located within the Bank’s market area. Each year, Chelsea Groton Bank and the Chelsea Groton Foundation support more than 250 local organizations through monetary gifts, grants, sponsorships, scholarships and employee volunteerism. More information, including a list of last spring’s grant recipients, is available at chelseagroton.com. The Chelsea Groton Foundation was formed in June 1998 as a Section 501(c)(3) organization. Initially endowed with a $2 million donation from Chelsea Groton Bank, and recently gifted an additional $5 million from the Bank, the Foundation has, to date, awarded over $2.6 million in grants to hundreds of scientific, educational and charitable organizations located within the Bank’s market area. To learn more, visit www.chelseagroton.com/CGFoundation. 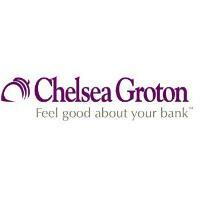 Based in Groton, CT, Chelsea Groton Bank is a full-service mutually owned bank with over $1 billion in assets. Chelsea Groton Bank’s products and services include consumer banking, business banking, mortgage and business lending, cash management, financial planning and financial education classes. With 14 branch locations throughout New London County and a Loan Production Office in Hartford County, Chelsea Groton Bank also provides online and mobile banking, 24-hour telephone banking, and nationwide ATM banking for individuals, families and businesses. To learn more, please visit chelseagroton.com. Member FDIC. Equal Housing Lender.